Two days training on “Applications of Remote Sensing & GIS for Agriculture and allied areas” sponsored by Meghalaya Agricultural Management & Extension Training Institute (MAMETI), Govt. 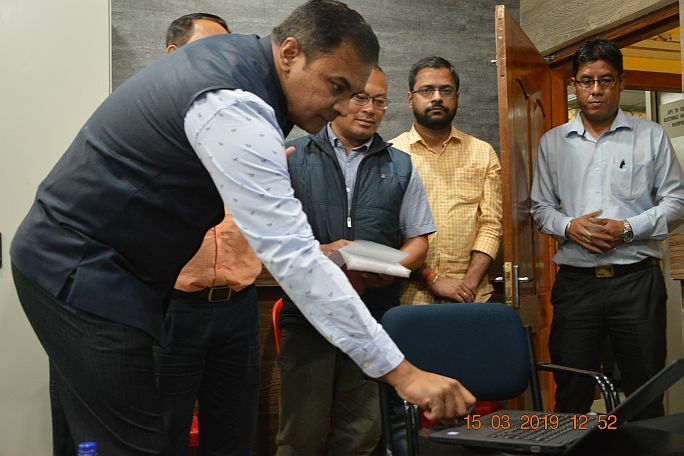 of Meghalaya was conducted at NESAC during February 07-08, 2019. Twenty three Assistant Technology Managers posted in various C & RD Blocks of Meghalaya attended the training. A wide range of topics such as Basics of Remote sensing and GIS, Digital Image Processing, GIS, GPS, applications of geospatial technology in Crop acreage and production estimation, soil resource and land capability mapping, site suitability analysis, UAV remote sensing for agricultural applications etc. were covered during the training. Hands on training on digital image processing, image classification and accuracy assessment and handling of GPS etc. were also provided to the participants. At the concluding session of the training, Director, NESAC distributed the certificate of participation to the trainees.